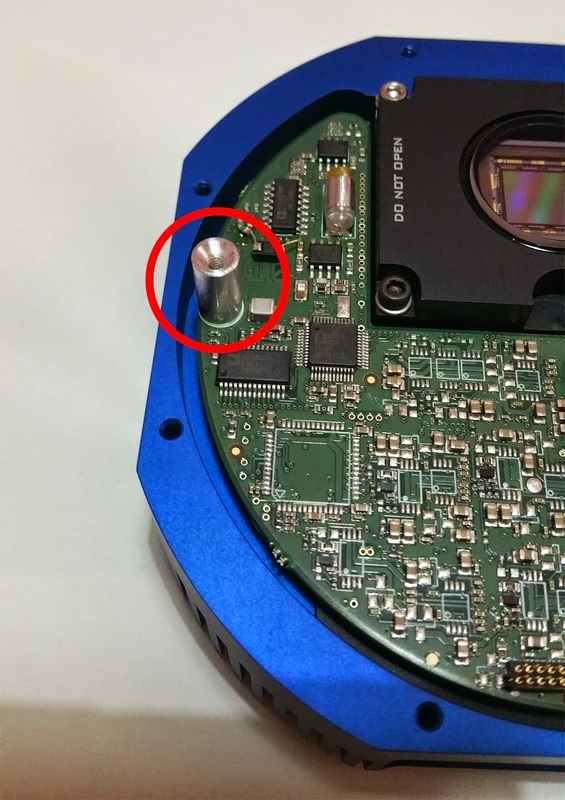 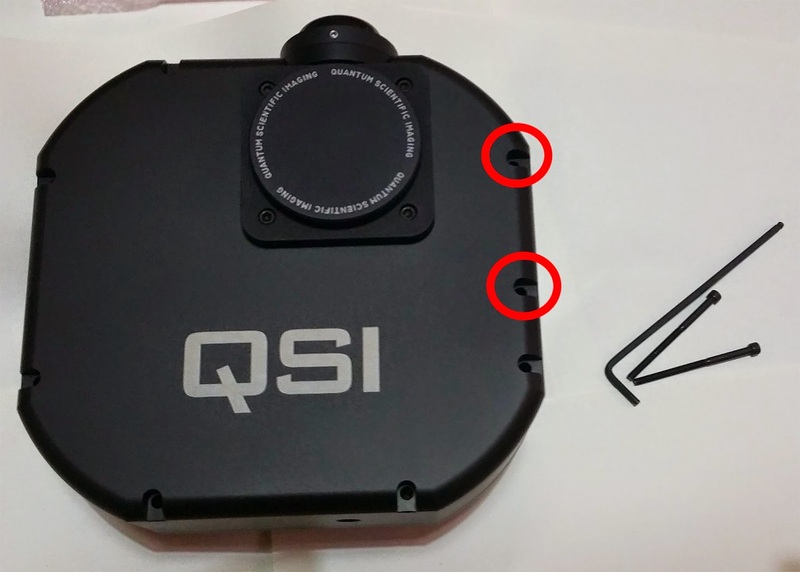 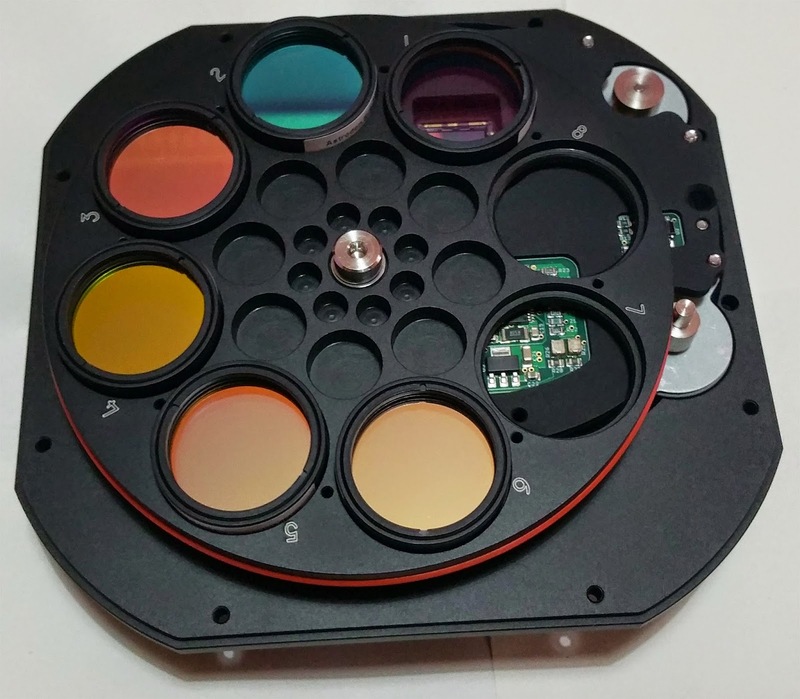 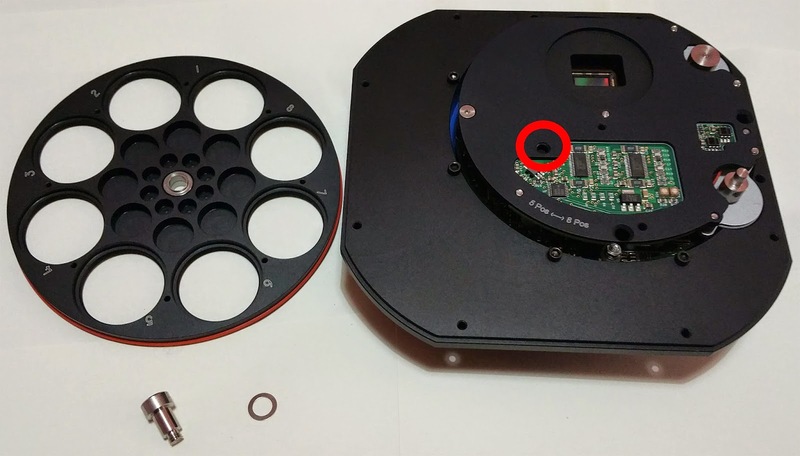 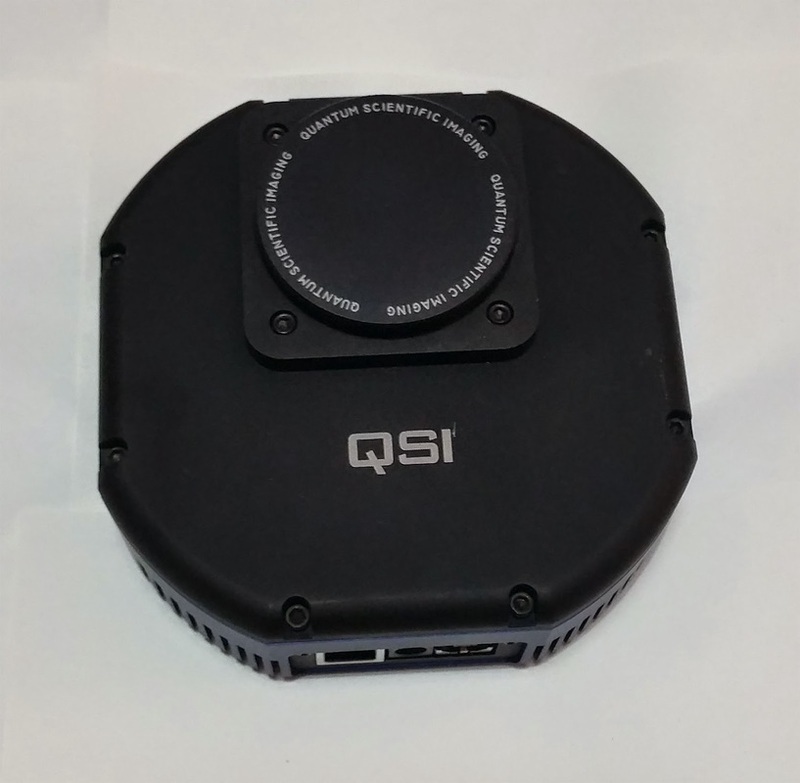 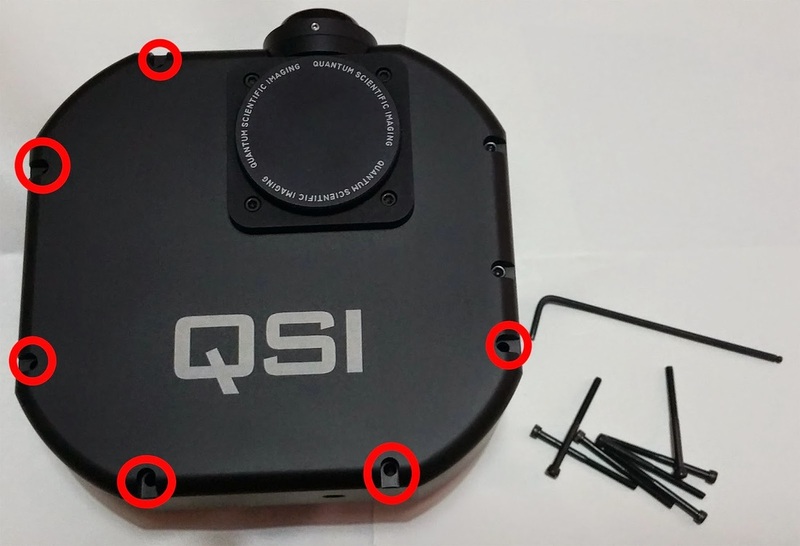 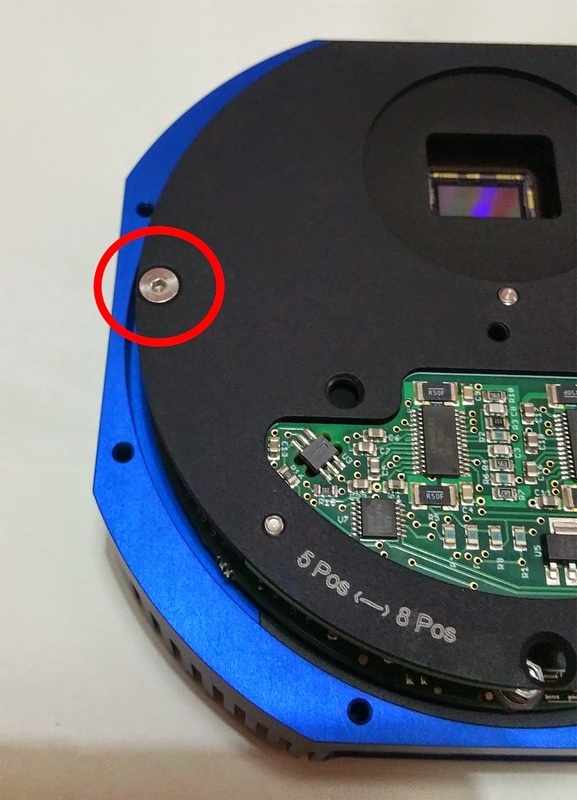 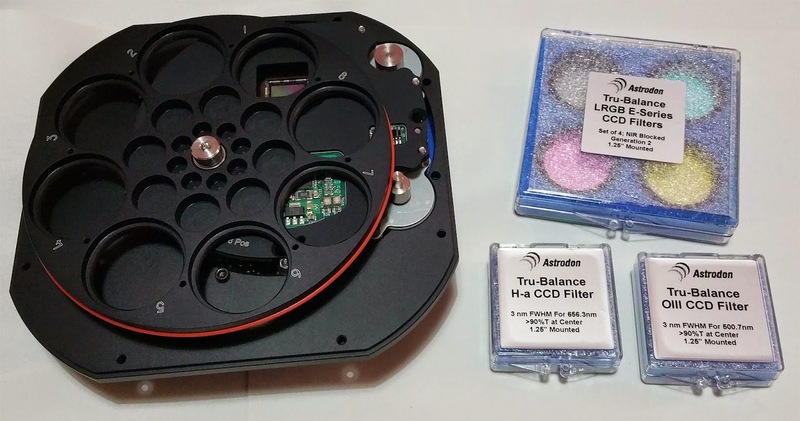 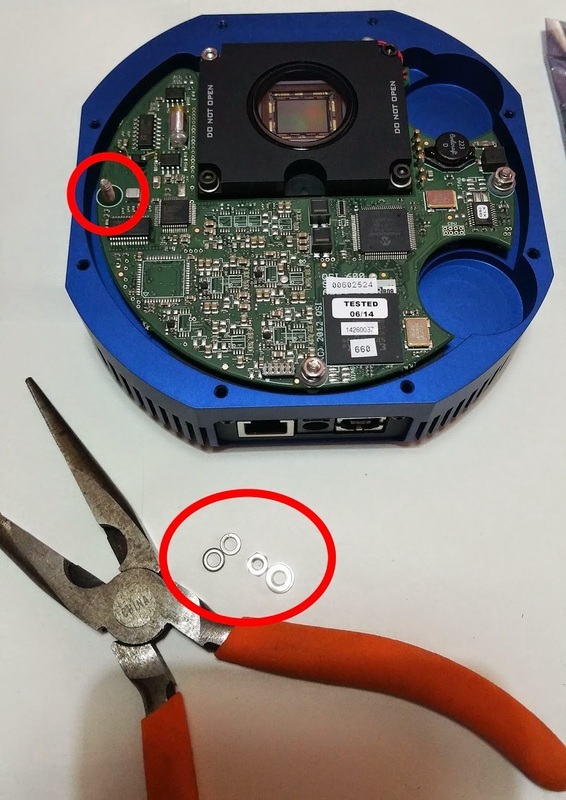 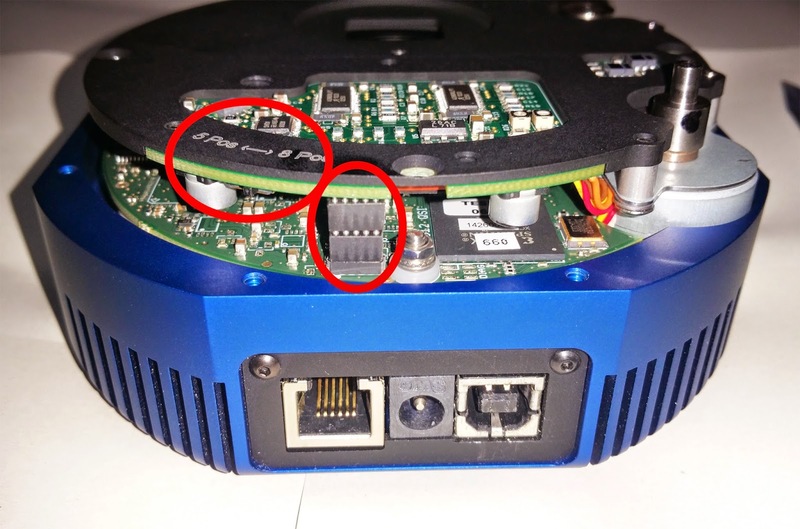 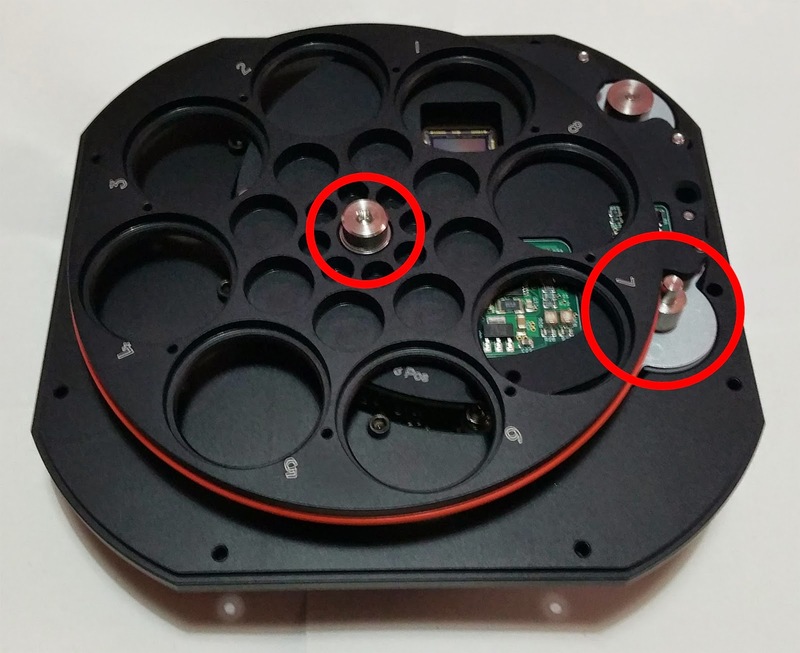 Since the QSI 660i is a shutter-less camera, the first component is the mechanical shutter, plus the motor to move the filter wheel. 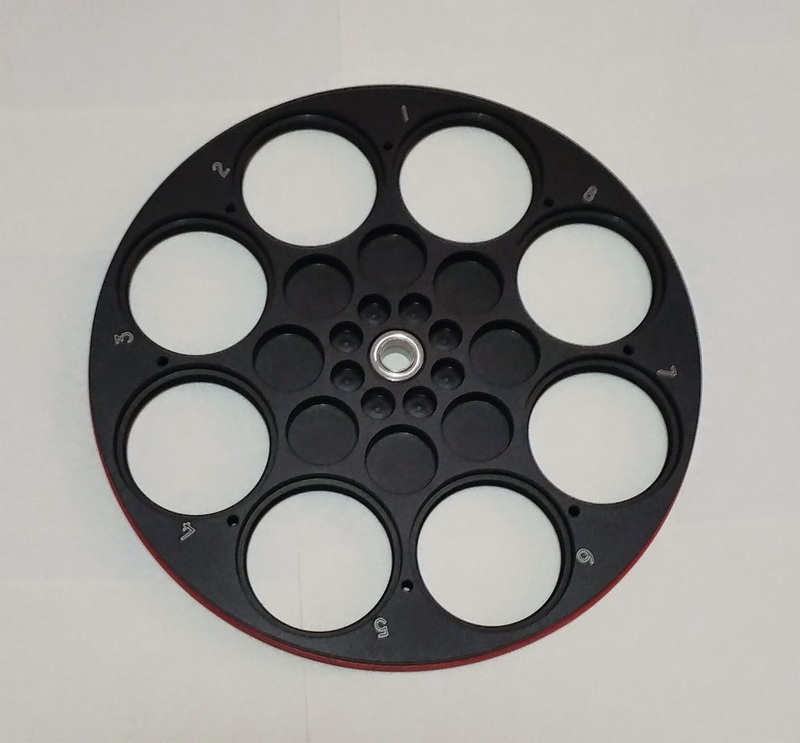 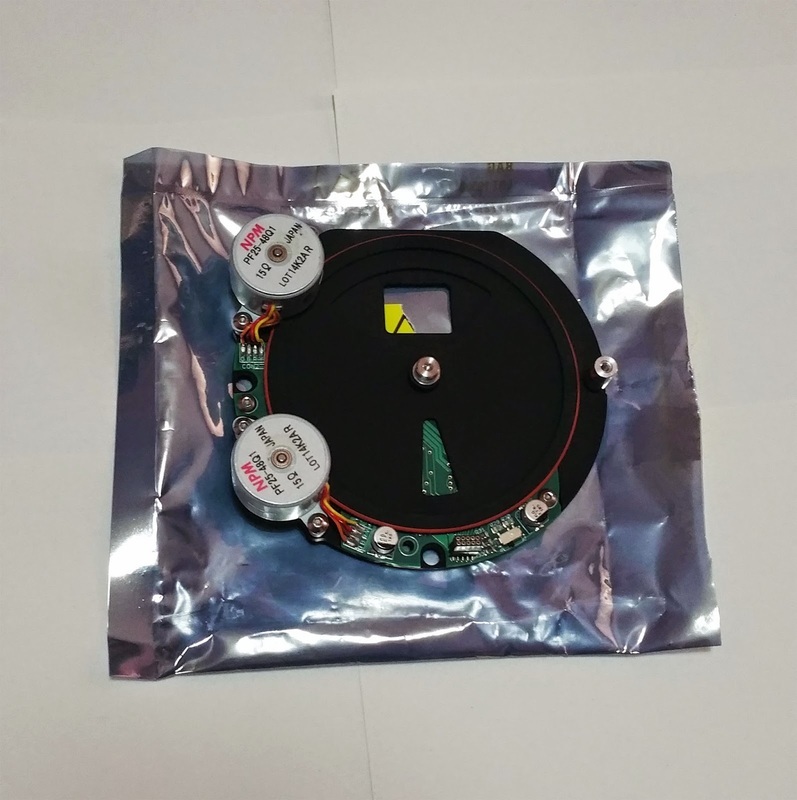 The second component is the obvious 8 position filter carousel for 1.25" filters. 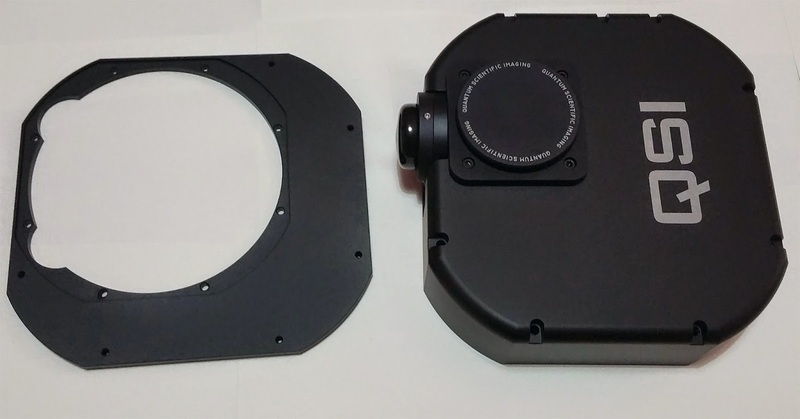 The third components are just the large camera enclosure. 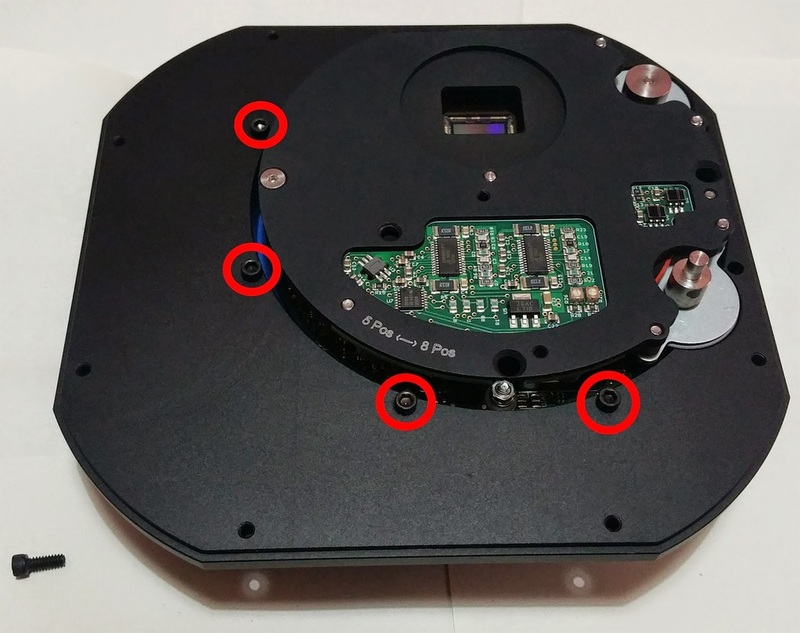 One only need to check to enable Filter Wheel and Shutter. 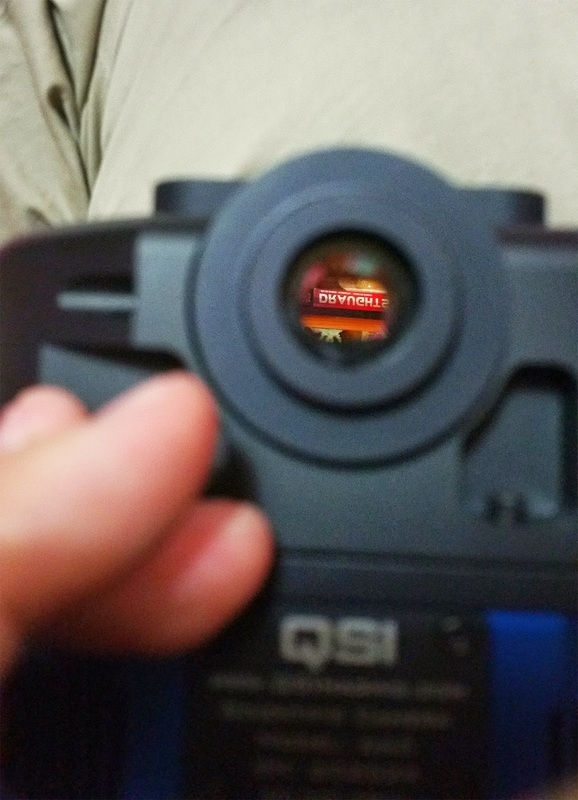 On clicking Next, the program tells you to cycle the camera's power. 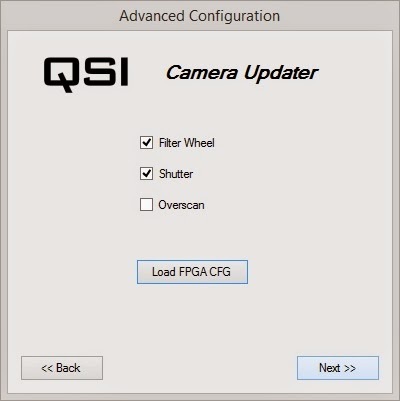 Indeed on doing so, the filter wheel started spinning as a camera initialisation. 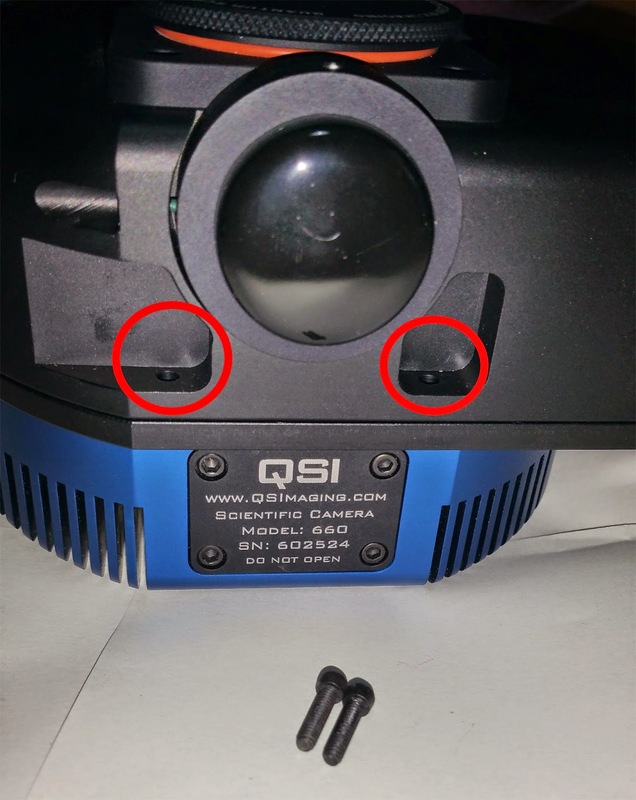 The camera's own diagnostic beeping and LED indicated that everything was fine. 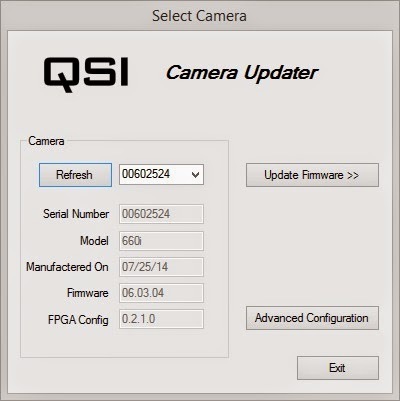 I further tested the camera by connecting it to my astrophotography laptop, running Sequence Generator Pro, changing my equipment profile to use the QSI Internal Filter Wheel and testing out changing filters. 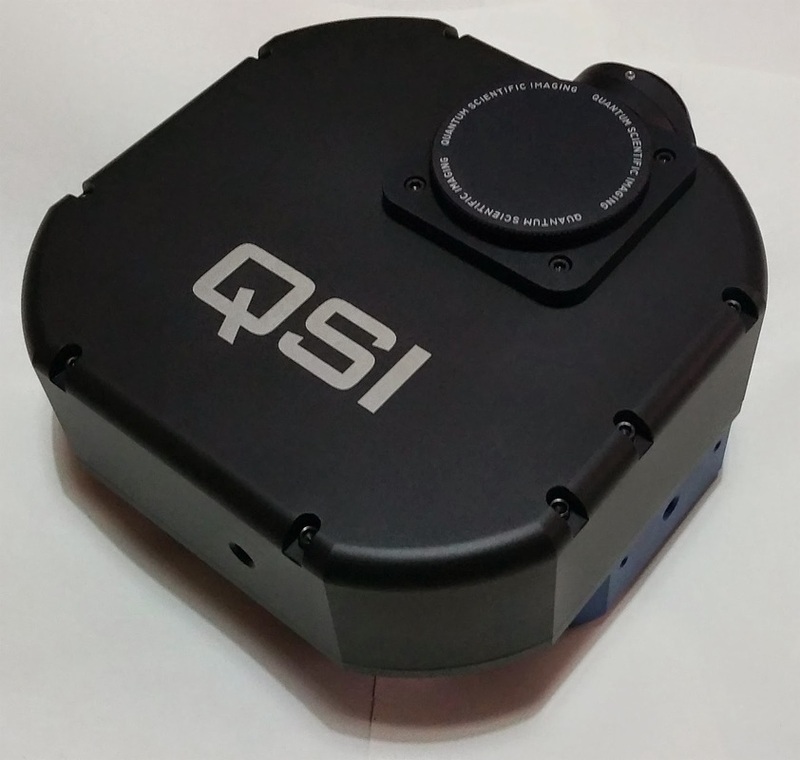 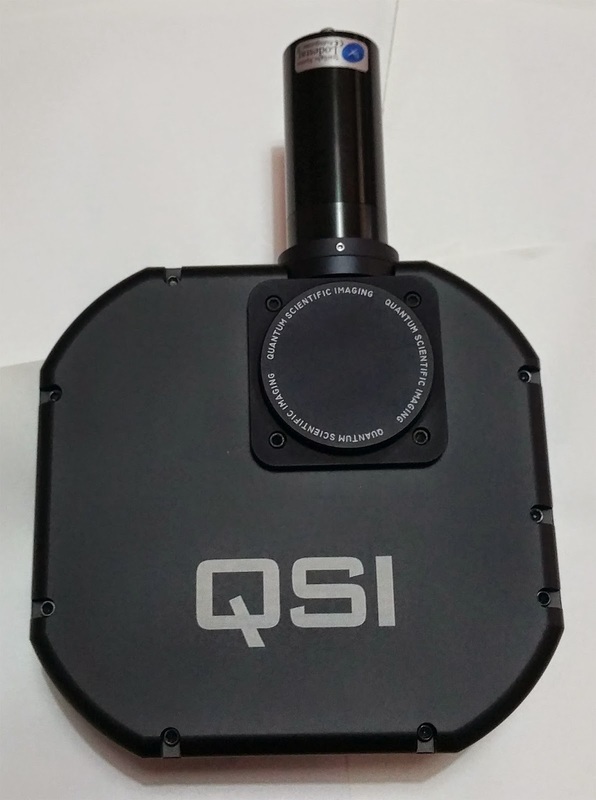 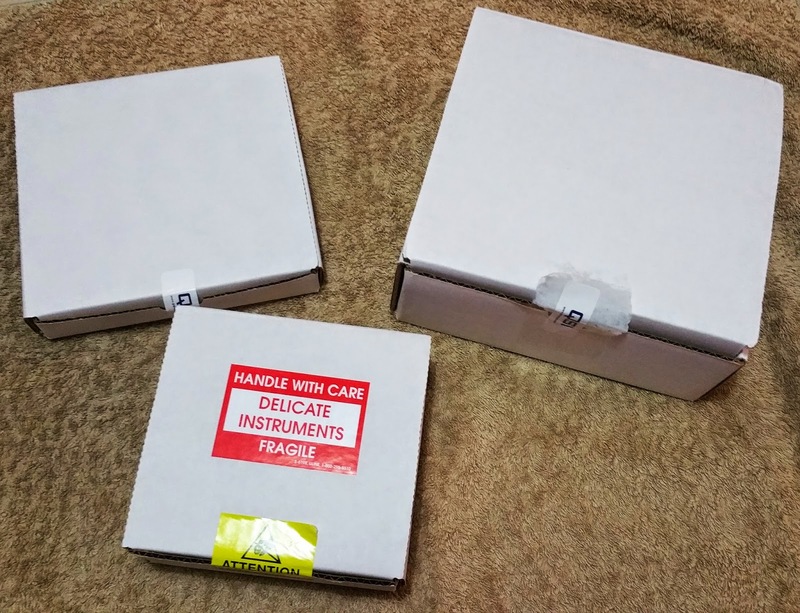 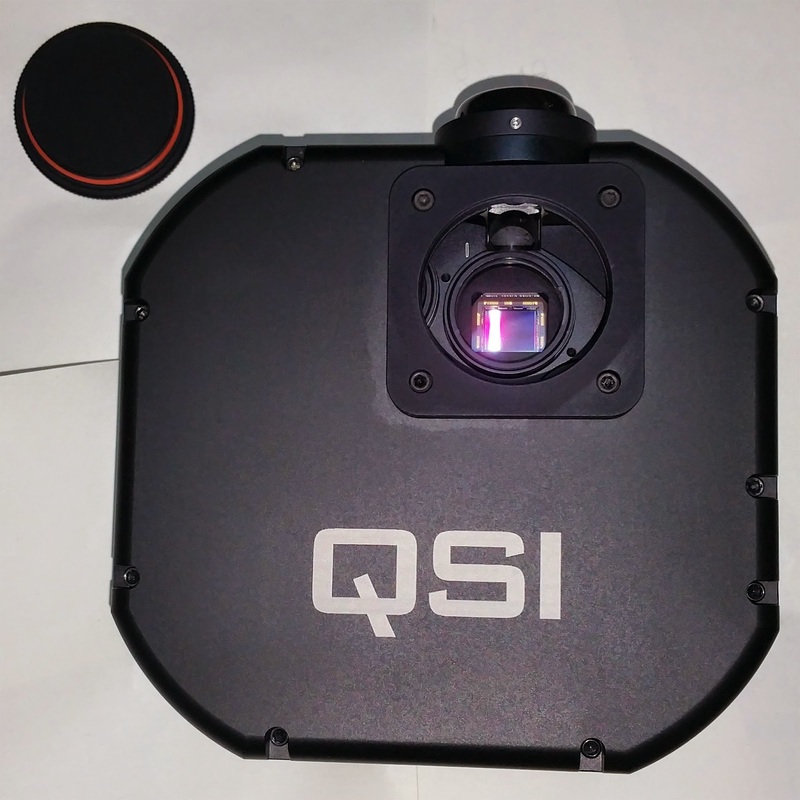 Everything was perfect - the upgrade was then 100% complete and the QSI 660wsg-8 ​CCD camera was ready for action.